Douglas Randall Sisk was born September 26, 1957 at Renton Washington. Sisk grew up a Mets fan, saying he could tell everyone in Washington State the rosters of the 1969 & 1973 Mets as a teenager. The six foot two right hander attended Washington State University & was signed by the New York Mets as an amateur free agent in 1980. After one season as a started he was converted to a full time reliever at A ball Lynchburg in 1981. In 1982 at AA Jackson, Sisk went 11-7 with five saves, posting a 2.67 ERA getting a call up to the Mets staff in September of that year. 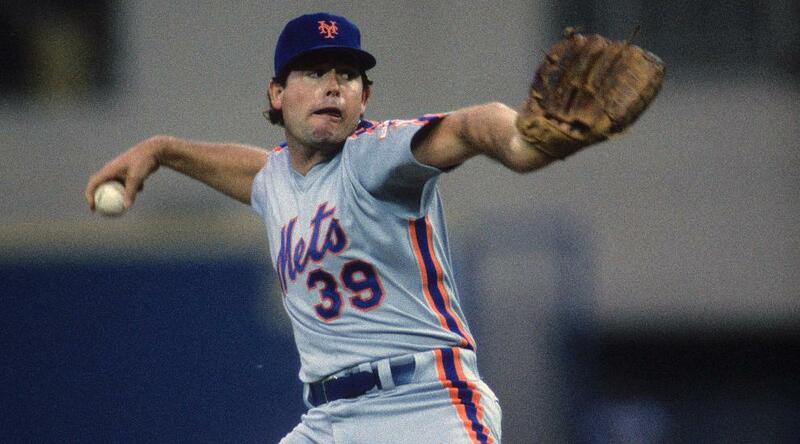 He made his debut on September 6th 1982, closing out a game against the Pirates at Pittsburgh in a 6-1 Mets loss. On September 15th after pitching three scoreless innings in relief, he served up a walk off HR to Andre Dawson in Montreal, earning his first career loss. In eight appearances he went 0-1 with a save, allowing just the one run, posting a 1.04 ERA in 8.2 innings pitched. On Opening Day 1983, Tom Seaver, returned to Shea Stadium with the Mets pitching six scoreless innings against the Phillies & Steve Carlton. It was just like the old days with the two future Hall of Famers going at it. For Sisk it was a dream come true, relieving the great Tom Seaver. 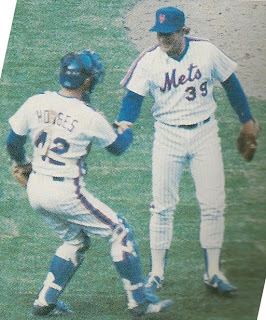 Sisk came in relief & was the winning pitcher of record as Mike Howard (who only played that one game for the 1983 Mets) drove in a run along with Brian Giles, as the Mets won it 2-0. In July he earned another win, it came against the Houston Astros at Shea, benefiting from a Daryl Strawberry 8th inning HR. That month he also blew two games, one against the Phillies, one against the Braves. He had the chance of winning both games. 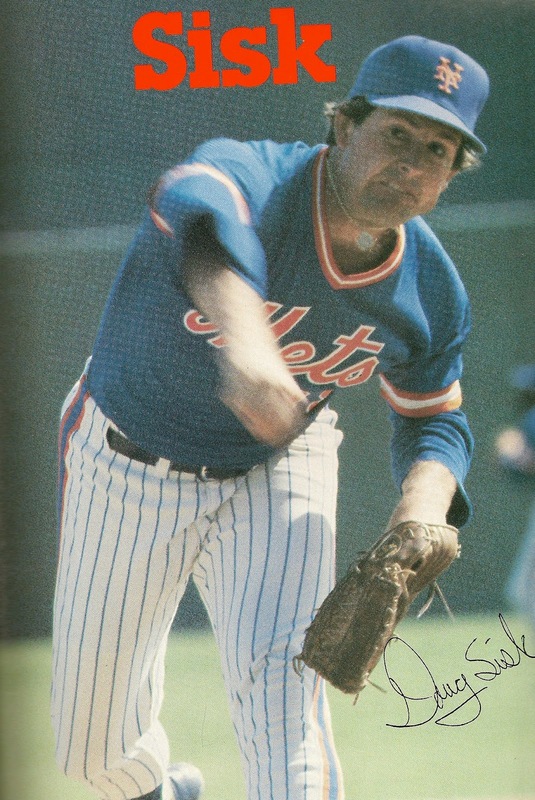 On the season, Sisk appeared in 67 games, which was a Mets single season record at the time. He pitched a career high 104 innings, going 5-4 with 11 saves (second on the club to Jesse Orosco’s 17 saves) posting a 2.24 ERA. His good sinkerball had him only allow one HR all season. In fact in his career he only allowed 15 HRs in 523 innings pitched. Sisk’s problem were always walks, in 1983 he walked 59 batters while only striking out 33. In 1984 Sisk started out the year saving the second & fifth games of the season. In June he was spectacular, saving six games & getting credit for one hold. In the month he allowed just one earned run in 21 innings of work. Overall he had a good first half, at the All Star break he was 1-1 with 13 saves and a 0.62 ERA. 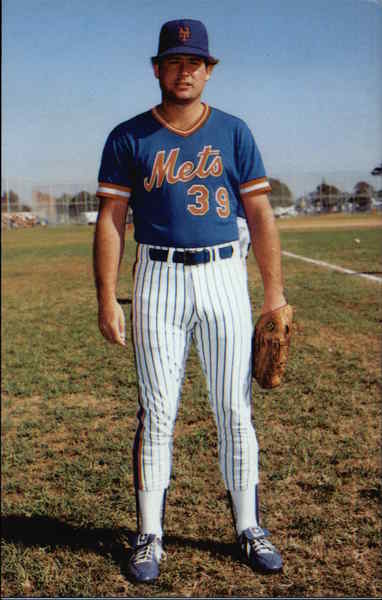 At the end of July, he had a two rough outings against the Chicago Cubs at Shea Stadium during the pennant race. A week later in Chicago he allowed two runs over three innings earning no decision in the loss. He was then sidelined on the DL for the rest of the month & only made five more appearances all year. On the season he was second to Jesse Orosco in saves with 15, going 1-3 with 6 holds & a 2.09 ERA. Sisk walked 54 batters in 77 innings with only 32 strike outs. His walks began to irk the Mets fans & manager Davey Johnson. 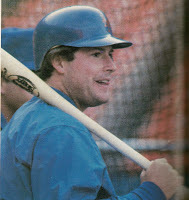 Soon with the emergence of Roger McDowell, Sisk became the long man eating up innings in games where the Mets were either ahead by a lot or behind by a lot. He became the target of the Shea boo birds, especially after George Foster was dismissed in 1986. The fans needed someone to pick on, even though the team was winning. In September 1985, the Mets played a crucial series at Shea Stadium against the first place Chicago Cubs. On the first night of the series, Dwight Gooden pitched a 10-0 one hit shut out. The next night the Mets were down 2-0 when Sisk came in & gave up two more runs. He exited to boos & from that day on it was nothing but a bad relationship with the fans. He received death threats & even had a fan pull a fake gun on him. He once received a prescription in the mail for cyanide, telling him to take it often in big doses. One night he was being followed home & instead of going home, went to a Long Island bar where he knew the people. There the followers got a surprise & took a beating themselves. 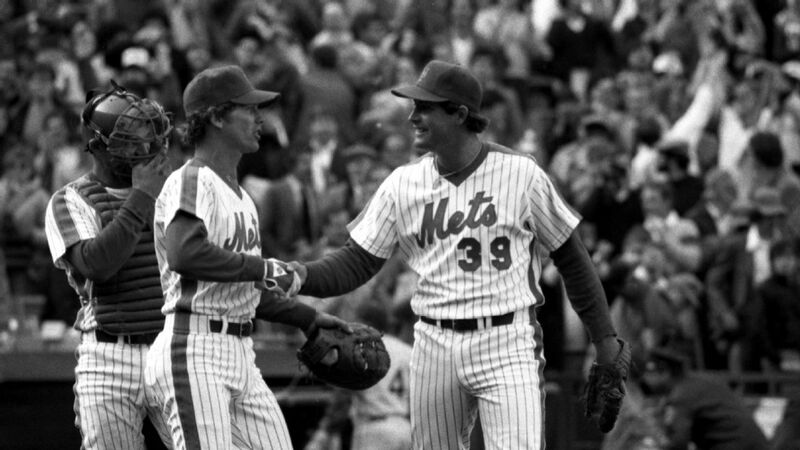 In Erik Sherman's book "Kings of Queens'' Sisk said he resented the fact that he was booed so badly in 1985 & Keith Hernandez came out of the Pittsburgh drug trials with immunity getting a standing ovation from the crown upon his return. In 1985 Sisk was 4-5 with just two saves, posting a 5.30 ERA, walking 40 batters, striking out 26 in 72 innings in 42 appearances. It was eventually found out that he had bone chips in his elbow which affected his pitching. 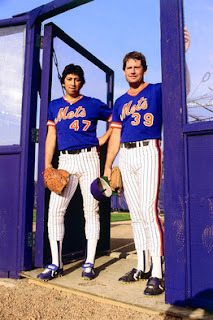 Trivia: Sisk, Jesse Orosco & Danny Heep were some heavy drinking party guys during the mid eighties Mets years. Their antics earned them the name- "the scum bunch". have a pretty decent season. He was 4-2 with one save posting a 3.06 ERA. From August on to the end of the regular season, he was 2-0 with a save & had two holds to his credit. In that period he allowed earned runs in just five of twenty appearances. Overall in the Mets Championship season, he made 41 appearances with 70 innings pitched.. He walked 31 batters & struck out 31, which was certainly an improvement from the past year. Post Season: He got to appear in one game of the NLCS & one game of the World Series, pitching an inning of mop up work each time, both in Met losses. He allowed a walk in each appearance earning no decisions. In the 1987 season he made 55 appearances going 3-1 while lowering his walks to just 22 in 78 innings pitched. That December, after requesting a trade to GM Frank Cashen his wishes were granted as he was sent to the Baltimore Orioles for Blaine Beatty. 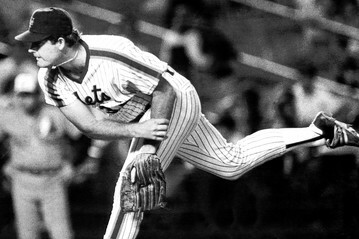 Beatty would pitch in just seven games over two seasons for the Mets. Sisk went 3-3 in Baltimore then moved to the Atlanta Braves pitching in only 17 games over two seasons, retiring in 1991. In his nine year career, he was 22-20 with 33 saves, 267 walks, 195 strikeouts & a 3.27 ERA in 523 inning appearing in 332 games. Retirement: After baseball he became a coach at the Lakewood Washington Boys & Girls club. He then began to sell fine wines working for a wine distributor. Family: Doug & his wife have been married over thirty years & have three grown children together.